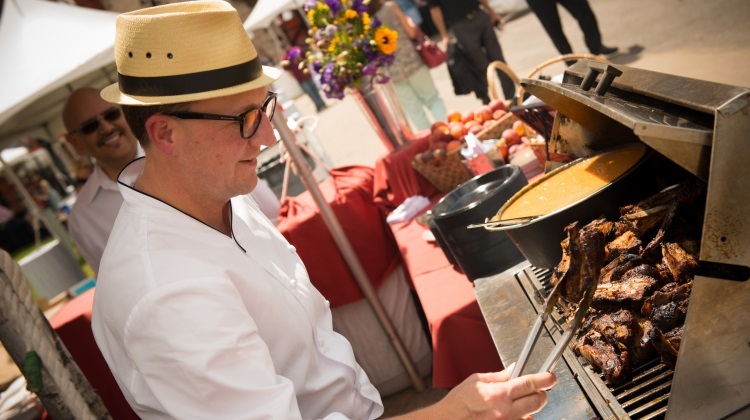 It’s just a little over a month now until one of the biggest Utah food and wine events of the year – the fabulous Park City Food And Wine Classic. The extensive celebration of the wine world takes place over four days – during which, more than 500 different types of wine, beer and spirits will be served at a diverse range of locations and events. The classic always funds local charities, generating over $200,000 for area charities to date. This year is no exception and a percentage of all ticket and auction sales will be donated the People’s Health Clinic. A Celebration of local food and fine wine! The Classic gives a unique spin on the traditional Farm to Table concept bringing to you the Farm To Barn Wine Dinner benefiting the People’s Health Clinic. This signature event for PHC will feature a dinner menu beautifully crafted from locally and nationally acclaimed Executive Chefs James Dumas of High West Distillery, Chip McMullin of The St. Regis Deer Valley, and Shawn Armstrong, Chef d’ Cuisine at Apex Restaurant, Montage Deer Valley. 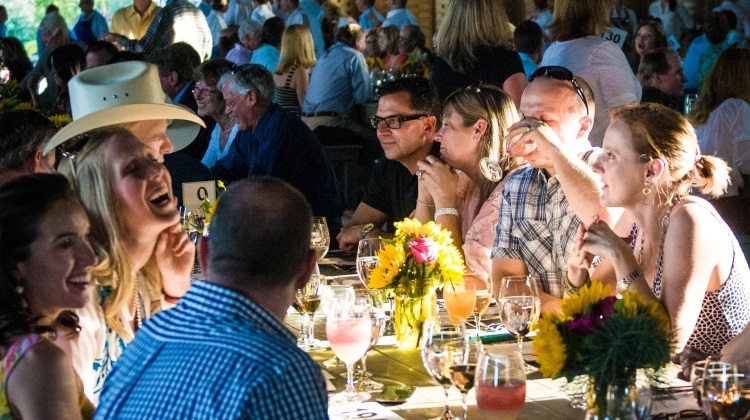 The Utah-inspired five-course dinner will be served in the newly renovated Barn at the beautiful Blue Sky Ranch, which sits quaintly outside of Park City in the rolling hills and majestic canyons of the Wasatch Mountains. Master Sommeliers will expertly pair each course with exquisite wine selections. Ticket proceeds and live auction will benefit the People’s Health Clinic. Transportation options will be available for this event. Private waters fed by mountain runoff and natural springs flow freely through Victory Ranch, and provide Idyllic conditions to cast the perfect line. A fly-fisherman’s paradise, you’ll find the Upper Provo River supports an abundance of wild German brown trout, rainbow, brooks and cutthroats. Whether you’re casting for the very first time or matching the hatch in early morning solitude, this unique seminar brings you the best in fly fishing, scenery, and of course, wine. Join Dennis Cakebread of Cakebread Cellars as you venture out to Victory Ranch’s private waters in what promises to be a memorable experience. After the lines have cast, enjoy some exquisite cuisine expertly prepared by Victory Ranch’s Executive Chef along with fine wines from our friends at Cakebread Cellars. If you enjoy fly-fishing or have always wanted to try your hand at hooking a big one, you won’t want to miss this exclusive outdoor experience. Grab your board and hit the water to experience the fastest growing paddle sport in the world! Standup paddleboarding (SUP) is a great way to take in the gorgeous mountain views and crystal blue waters of Deer Valley Lake. Back by popular demand, Park City SUP owner and professional Trent Hickman leads this unique water-based seminar at PCFWC. 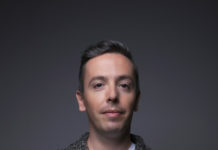 Trent is an International Sports Sciences Association certified personal trainer and a World Paddle Association Class II certified stand up paddleboard instructor. Whether you’re a novice or looking to hone your SUP skills, Trent and his team will take you on an hour tour, showing all you need to know about this exceptional sport. There will also be a variety of boards and gear to demo. After working up an appetite on the water, enjoy a delectable lunch paired with local craft brews from Wasatch Brewery. Let’s face the facts. At the end of the day, it’s all about the salami, cheese, chocolate … and whiskey. At least, that’s what Dave Perkins, Proprietor of High West, will show you in this unique pairing of whiskey, salami, cheese and chocolate. Skeptical about the idea of enjoying whiskey with food? 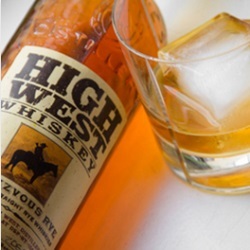 Don’t be, as everything goes well with whiskey, especially if it’s from High West. Single malts, bouryes, bourbons, and rye whiskies all offer an interesting range of tastes and aromas, which can be just as varied as wine. The focus will be on local producers – Creminelli salami, cheese from Gold Creek Farms and chocolate from Ruth Kendrick’s “Chocolat” based in Salt Lake City. Let High West’s master distiller show you the way in this tantalizing, yet deliciously educational, pairing. The Classic commences Thursday evening with a Celebration at The St. Regis Deer Valley. Your evening begins with a 90 second ride in the one-of-a-kind St. Regis funicular which transports you to the luxurious hotel with fabulous mountain views, slope-side at the Deer Valley Resort. The St. Regis Deer Valley Culinary Team will be serving a list of impressive culinary creations for you to sample and savor throughout the evening. This event provides an exclusive opportunity to spend one-on-one time with industry experts and delve into a variety of wines and cocktails, featuring reserves as well as excellent conventional varieties. This is your exclusive opportunity to sample the best wines available at this year’s Classic. Immerse yourself in the epitome of luxury with a selection of signature dishes from Chefs within the collection of Waldorf Astoria Hotels and Resorts. Renowned Chefs will share a regional cuisine that will be expertly paired with wine from our Sommeliers, for a five course unforgettable dining experience. From the breathtaking beauty of the Wasatch Mountains to the extraordinary heritage of a luxury resort, the Waldorf Astoria Park City showcases the best of what Park City has to offer. Rising above the scenic Upper Provo River and Woodland Valley with views of the Jordanelle Reservoir and Uinta Mountains, is one of Utah’s most celebrated golf courses. Rated the #2 course in Utah by Golf Digest, the 400-foot elevation change will test your game, while the dramatic scenery tests your focus. Weaving their way through the High Country, the golf at Victory Ranch offer challenges you won’t soon forget. After golf, enjoy the 19th hole for lunch and wine tasting with Jack Gregor of Francis Ford Coppola Winery on the patio of the Clubhouse. Raise your glass and cheer for this “Classic” favorite at Deer Valley Resort. Only the Classic combines your love for mountain biking with food and wine. 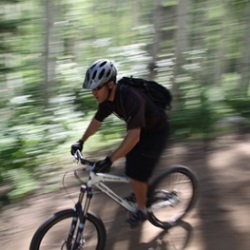 Led by Executive Chef and fellow cyclist Zane Holmquist of Stein Eriksen Lodge, take a ride through the beautiful panoramic single tracks that make Park City a world-class mountain biking destination. Once you dismount and shed the mud, Chef Zane will prepare a sumptuous lunch on the deck at Stein’s overlooking Deer Valley. The lunch and view will be enjoyed with the wines and winemakers of Fisher Vineyards and David Arthur Vineyards – Whitney Fisher and Nile Zacherle. Rising above the scenic Upper Provo River and Woodland Valley with views of the Jordanelle Reservoir and Uinta Mountains, is one of Utah’s most celebrated golf courses. Rated the #2 course in Utah by Golf Digest, the extensive practice facilities allow you to sharpen your swing while the dramatic scenery test your focus. Spend the morning with the pros of Victory Ranch in a personalized instructional clinic designed for women. Take what you learn to the links where you will tee it up and play some of the beautiful holes offered at Victory Ranch. After golf, what better way to compliment the day by enjoying a special meal prepared by the Executive Chef of Victory Ranch and wine tasting on the deck of the Clubhouse. Celebrate the Food and Wine Classic and the great outdoors with a horseback ride through the stunning pines and peaks of Canyons Resort. Let the scenery take you away while the culinary crafts of Waldorf Astoria Park City’s award winning chefs satisfy your appetite as you ride at the Ranch at White Pine Canyon and enjoy a grilled luncheon complete with a full wine pairing from Waldorf Astoria Park City’s top Sommeliers. Grab your board and hit the water to experience the fastest growing paddle sport in the world! Standup paddleboarding (SUP) is a great way to take in the gorgeous mountain views and crystal blue waters of Deer Valley Lake. Back by popular demand, Park City SUP owner and professional Trent Hickman leads this unique water-based seminar at PCFWC. Trent is an International Sports Sciences Association certified personal trainer and a World Paddle Association Class II certified stand up paddleboard instructor. Whether you’re a novice or looking to hone your SUP skills, Trent and his team will take you on an hour tour, showing all you need to know about this exceptional sport. There will also be a variety of boards and gear to demo. After working up an appetite on the water, enjoy a delectable lunch and paired with local craft brews from Wasatch Brewery. “Drink to me, drink to my health, you know I can’t drink anymore.” You may not be able to paint like Picasso, but you can utter his famous words as you create your own masterpiece. Awaken your inner artist at The Paint Mixer, Park City’s Premier Paint & Wine Studio and follow a step-by-step guided instruction to paint a beautiful vineyard landscape on a wine bottle. Gather inspiration from the vineyards themselves and sip on an assortment of wine chosen by local enthusiast and Sommelier, Jim Santangelo of the Wine Academy of Utah. At the end of the lesson you’ll have more than just an empty bottle to take home! Please allow up to three hours to unleash your creativity for this art and wine seminar. Attention all meat lovers! NEW for 2014, relish in the delicious pairing of red meat and red wine in this delectable lunchinar. Led by Executive Chef Scott Bobereck of Lespri Park City and Master Sommelier Ron Mumford, as they share with you hearty samplings of meats in a variety of preparations and expertly paired with red wines selected from around the world. Just a tease of what you won’t want to miss during this exceptional food and wine experience. Courses and wines subject to change, but only for the better! 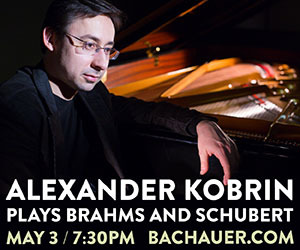 Reserve now as this event traditionally sells out quickly. Meander up and down historic Main Street as you experience numerous art galleries, restaurants, and historic outdoor venues throughout downtown Park City. Each Stroll stop offers its own variety of wines and delectable culinary morsels, allowing patrons to acquaint themselves with the variety of charming restaurants and retailers Park City has to offer. Because of the Stroll’s popularity, the Stroll will host 14+ Stroll Stops to provide patrons with a more comprehensive tasting experience. Beer + BBQ = Beer-B-Q. Join us at this exciting and dynamic new event at the Park City Food & Wine Classic. 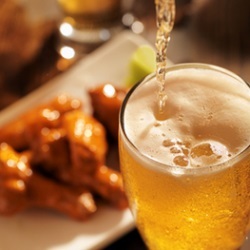 Explore the world of barbecue and craft beer as the most talented chefs of the Waldorf Astoria collection show off their grilling acumen while you dive into the world of craft beer. Utah craft breweries and more will showcase their delicious different styles in this beautiful setting. Live music will keep the party (hop)ing into the evening. You’ve been drinking fine wines and eating great food at the Classic and those calories have found a home … in your belly! This seminar will help you burn those bad boys as you take a mountain trail run along the majestic single tracks of Park City. Join backcountry.com CEO Jill Layfield as she leads a small group of runners along the mid mountain, Spiro or Armstong trails, leaving only footprints and calories in your dust. After your trail run, Executive Chef Scott Bobereck of Lespri Park City will prepare a luncheon paired with the local craft beers of Wasatch Brewery at a beautiful private home nestled off the trail. After this seminar, you’ll want to start everyday this way. Jump on and clip-in for this unique event that combines two of Park City’s best world-class activities, biking and dining! Led by mountain bike enthusiast and Executive Chef Chip McMullin, attendees will embark on their journey through Park City and Deer Valley’s premier single-track terrain. Choose your level of expertise with one of our two skill level rides: expert-level on Bald Mountain or intermediate-level from Silver Lake. Following the bike ride, delight in a showcased lunch by Chef Chip at the J&G Grill, complemented with wine by Robert Johnson of Michael David Winery. Be a part of this premier event! Join local enthusiast and Sommelier Jim Santangelo as he presents his Executive Wine series at the Classic. Jim focuses on how to gain the knowledge and confidence needed when making wine selections, planning pairings at any event, and how to taste wine like a pro. Increase your overall wine education by becoming familiar with the major wines and characteristics. This seminar will also navigate you through restaurant wine lists and how to find the hidden gems. Food and wine pairings have been the rage for years. But why does wine get to have all the fun? In this NEW seminar, the experts dive deeper with you into food pairings like you’ve never experienced before. Sensational small plates provided by the culinary team at High West, and then matched perfectly with different wines, whiskeys, and beers, giving you a full appreciation of food pairings. Join head distiller David Perkins, Proprietor of High West, Beer Ciscerone Michael Kelley, and Quady Wines Winemaker Michael Blaylock. This seminar will expand your senses, increase your knowledge, and impress your palate. Attention all Island lovers! NEW for 2014, relish in the delicious pairing of white wines and their tropical counterparts in this delectable lunchinar. Join Executive Chefs Vidyadhara Shetty and Keith Griffin of the Cayman Islands and Master Sommelier Ron Mumford, as they share with you charming Cayman-inspired small plates expertly paired with aromatic white wines selected from around the world. Dip your toes into the water sampling a small slice of island cuisine like fresh Wahoo Ceviche and Snapper. Just a tease of what you won’t want to miss during this exceptional food and wine experience. Courses and wines subject to change, but only for the better! The age-old question: What’s a good wine? At the end of the day, what’s good is really what your palate prefers. In this new unique seminar, YOU be the judge! Your guide is CWE & Certified Wine Judge Gus Magann. Gus will be selecting a dozen premium hand-crafted wines, presented in several categories. You’ll first choose your favorite wines based on pure personal preference and then evaluate the same wines in a blind tasting, using the standard protocol of national wine judging events. Delight in the excitement as you reveal wines that scored the highest and compare to the wines you chose for sheer enjoyment. 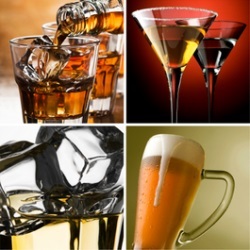 See how your palate stacks up against the professionals. Sheer enjoyment is correct, no matter what some pro tells you! An extraordinary gathering of domestic and international vineyards, gourmet culinary creations, and live entertainment are featured at this year’s Grand Tasting. Join us in sampling from an impressive selection of wines, spirits, and beers from around the world, as well as a superior collection of Park City’s impressive restaurants. Held at the Canyons Resort, this event features over 500 different wines and 30 restaurants and food offerings, making it the largest tasting of the weekend and in the state of Utah! Featuring food from SILVER, Stein Eriksen Lodge, Lespri, Red Tail Grill, The Farm, Nicholas Foods, Whole Foods and Slopes at the Waldorf. Experience the Classic’s newest event creation hosted at the world-class ​Montage Deer Valley. SensEATion will provide guests the chance to take in the arts in one SENSEational evening. The Classic’s closing Party will feature impeccable culinary selections, signature flair cocktails and libations, interactive art, live music entertainment, and more. This party will tap all of your Senses, and create a memorable experience that only the Montage can provide. It’s the Classic’s way of putting the finishing touches on another fantastic festival…however, we saved the best for last! Start with the finest Montage chefs, creating tantalizing morsels for your taste buds. Enjoy a spirited stroll from cocktail station to station, with Montage’s finest mixologists pouring to impress. Converse with chefs, sommeliers and performers as you take in the magnificent surroundings of Deer Valley. An exploration of the arts, plentiful of sips and bites, and live music will impress your eyes, ears, and of course, your palate, at this must-attend event at the Park City Food & Wine Classic. Sweat out those toxins and clip-in for this unique event that combines two of Park City’s best world-class activities, biking and dining! Led by bike enthusiasts Executive Chef James Dumas and proprietor David Perkins of High West Distillery, riders will embark on an intermediate to advance 25-mile scenic road bike tour through the beautiful mountains of Park City and Deer Valley. Enjoy a delicious lunch following the ride and sip on a signature cocktail created by High West Distillery. A great end to an indulgent weekend! Don’t miss out on the newest addition to the Park City Food and Wine Classic weekend, an al fresco brunch on the Burger’s and Bourbon Terrace at Montage Deer Valley. 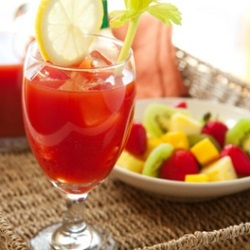 The Blues Brunch will offer live blues music featuring local favorite Dan Weldon, a mouthwatering southern-style brunch buffet, and a trip to the delicious Bloody Mary Bar…Montage style. What better way to end a perfect weekend at the Classic.